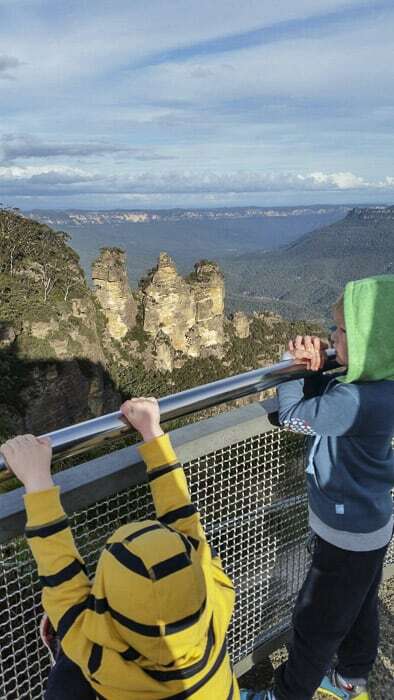 Here’s a handy Blue Mountains post by reader Fiona, mum of two young boys and a lover of road trips! It’s the story of her family’s recent weekend away. Our family love a road trip, and the Blue Mountains is always at the top of our list! It’s not too far a drive with the kids and gives us a chance to experience the beautiful national parks and walking trails. We always like to make several stops on any road trip, it breaks up the trip but we also get to pack in a lot more sights. Our first stop was the Wentworth Falls lookout. 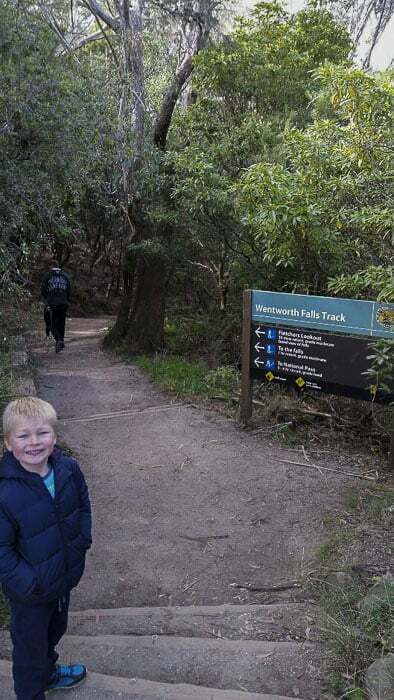 There’s a great view of the valley below and a glimpse of the falls to our left, but we all agreed we needed to get closer, so off we went to walk the Wentworth Falls track , the ‘To the falls’ part (1hr return, grade moderate). The walk involved stairs so isn’t suitable for prams and there are a few slightly tricky bits. But both my three and five year old walked the entire trail themselves and the falls are definitely worth seeing up close. Great photo opportunities and a gorgeous view. We stuck to this one trail this time and it definitely took the hour advised, but there are lots of good signposts to extend your walk if you’re keen. Parking – the day we visited, the carpark was chocka block but we parked easily in a nearby residential street. Just be careful not to park in a no stopping sign zone, there are plenty in the area. Toilets – there were toilets located in the car park area. Mum’s Report – Pack some water and a snack and pick a quiet place to sit. We saw a lot of families enjoying morning tea in nature. After our big walk we had definitely earned lunch. Whenever we visit the Blue Mountains Leura is always a must stop. It’s beautiful but always super busy. We decided on lunch at Wisteria Place Cafe which is off the main street and next to the shopping centre carpark. It has beautiful food, delicious coffee, and very welcoming of kiddies, with a kids menu, kids books and colouring in available. It was still busy but definitely didn’t take the 30 minutes wait time we were advised from places on the main street. Toilets – there are two at the cafe, I didn’t see any baby change facilities. Also public toilets near the shopping centre. Parking – park in the shopping centre carpark which then provides easy access to the cafe. 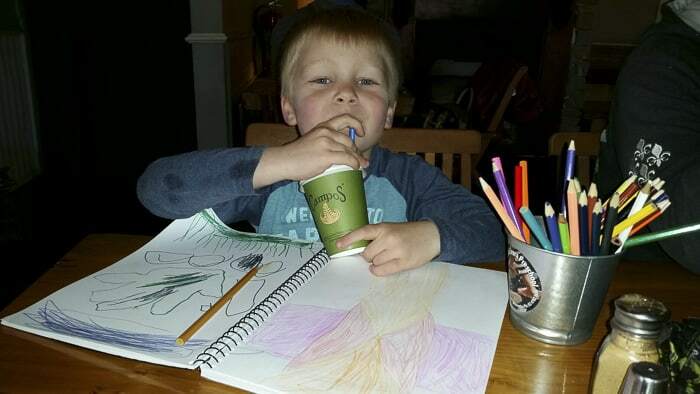 Mum’s Report – Kids milkshakes in a no spill container always a winner. Plus it was warm and cozy and of course had toilets which are always a plus with kids. After lunch we continued on to our final destination – Katoomba. 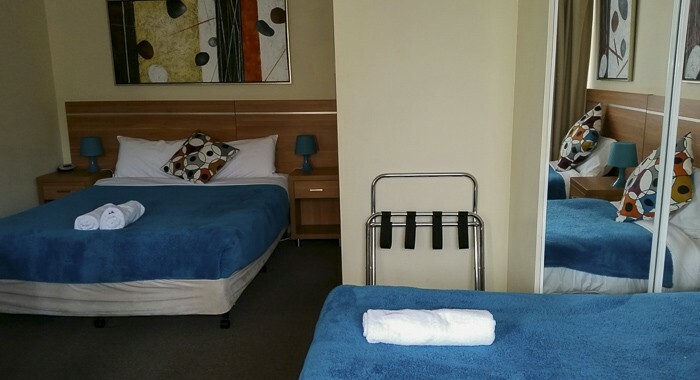 This road trip we had decided to make an overnighter, and we chose to stay at the ‘3 Sisters Motel’ Katoomba. We chose to stay in a standard family room that sleeps four (our room had a queen and two single beds). The room isn’t huge, but the motel is clean and has everything you need. It suited our budget for this short stay. 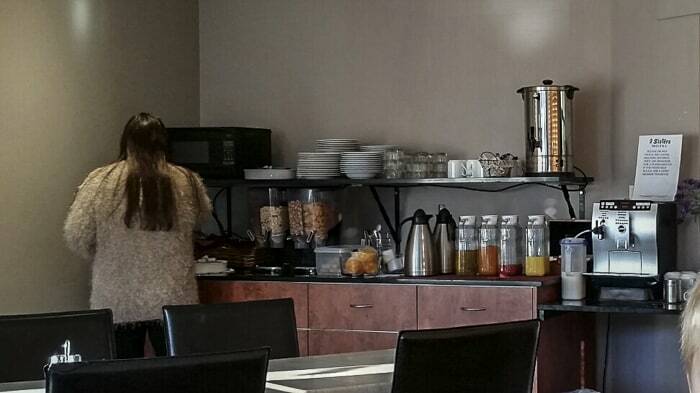 Breakfast is also available at an extra cost ($7.50 for continental and $10 for bacon and eggs). The hosts are extremely friendly and very helpful and we thoroughly enjoyed our stay here. One of the main reasons we chose to stay here is the location – an approximate ten minute walk to see the Three Sisters. 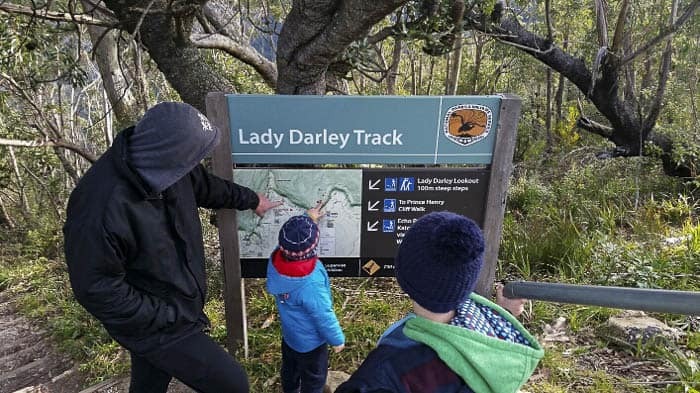 We took advantage of this and did the Lady Darley Walk which starts five minutes up the road from the motel. Again it has numerous steps but was suitable for my three and five year old. This walk stretched all along to the Prince Henry cliff walk and brought us to Echo Point lookout with a spectacular view of the Three Sisters. Again we all agreed we needed to get closer and decided on the challenging Three Sisters Walk. Now it is flat all the way to Lady Game lookout, but then there are a short set of steep stairs, and I mean very steep stairs down to the Three Sisters bridge. Walk across the bridge for a photo opportunity in the small cave on one of the sisters. There are railings for the steps and everyone took it slow. I saw a lot of children doing it and loving it, so it definitely is worth it with some adult help. I would recommend an adult per child if they are young like mine. I can highly recommend this walk even if at first I was sceptical of the stairs – but what a spectacular view and quite an accomplishment! My five year old cant wait for news at school to tell his friends! Parking – there is some parking around Echo Point, but by staying at the motel we took advantage and left our car safely there while we explored. Toilets – there is an information centre and toilets at Echo Point, along with some restaurant/cafe facilities across the road. 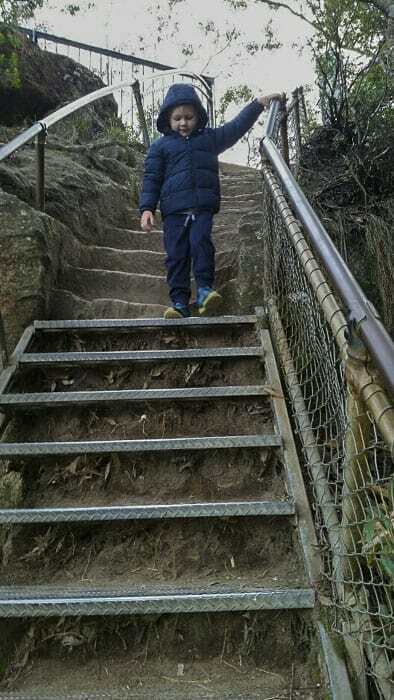 Mum’s Report – A nice flat family friendly pathway down to the lookout. You could always wait there if you didn’t want to do the stairs. There are also cute little animal figurines positioned along the pathway. Keep your eyes peeled. The kids had a great time searching for them! This overnight road trip definitely proved to be both relaxing, but also exhilarating to see such beautiful scenery right on our doorstep. We thoroughly enjoyed the walking trails. 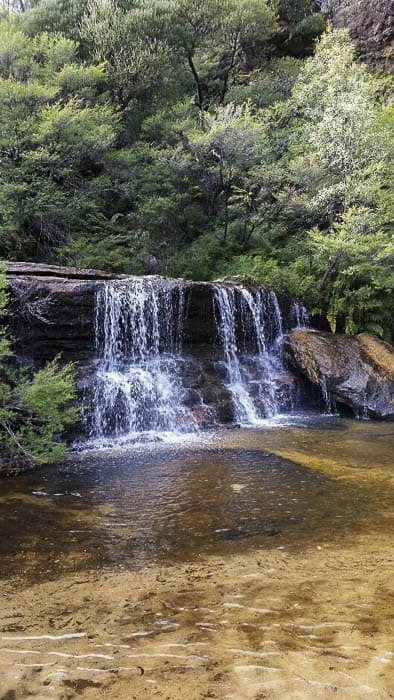 So pack an overnight bag and head off for a Blue Mountains adventure! Im already planning our next! Hello, my name is Fiona, a confessed chocolate and coffee lover. I love the heat of summer and anything pink! Im a proud mum to 2 young superhero loving boys, and an even prouder wife to an awesome superhero husband! We love going on road trips near and far, bushwalking together, and exploring new places. Taking too many photos and having fun is our motto! Thanks so much Fiona, readers own experiences are the best type of word-of-mouth advice! Who’s off to the Blue Mountains soon? Check out latest hotel deals below!